UK China Performing Arts (UKCPA) is a professional Chinese dance education institution which emphasises on the principles of professional, pure and enjoyable dancing with the main vision to spread Chinese Arts and Culture here in the UK. 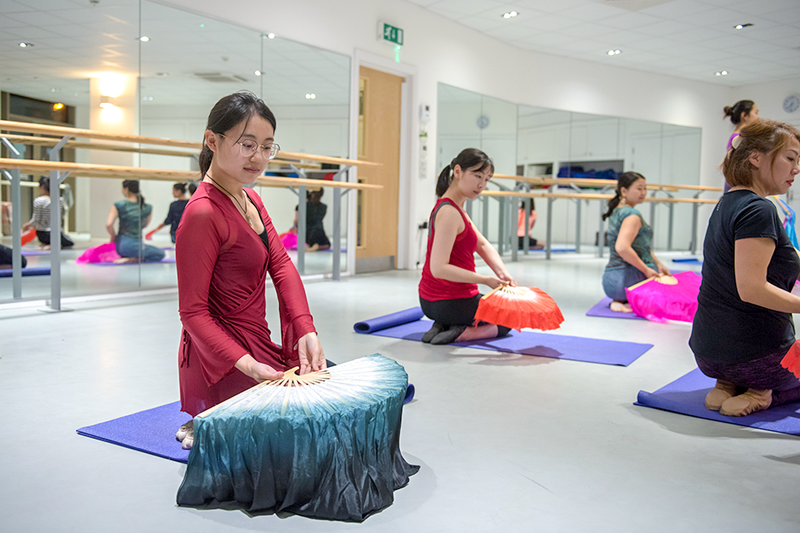 Through facilitating education on Professional Chinese Classical/Folk dance, UKCPA creates a bridge between cultures by conveying the colourful culture of China to people in the UK, and providing a professional learning environment for any children and adults who love dancing. Our students learn traditional Chinese dance like Ribbon dance, “A Silk Road” (Flying Apsaras), Long Sleeves Dance, “Ta Ge”, Fan Dance, Drum Dance etc. Our students have participated in various events such as the Chinese New Year Celebration of Europe, the Edinburgh Fringe Festival, London Footprint Festival etc. We also create contemporary dance works with Chinese elements.